Ginny Neece has always enjoyed the wonder of God’s creation with its ever-changing seasons and variety of botanical wonders. In all of the art that she creates, she strives to reflect the beauty of His superior handiwork. 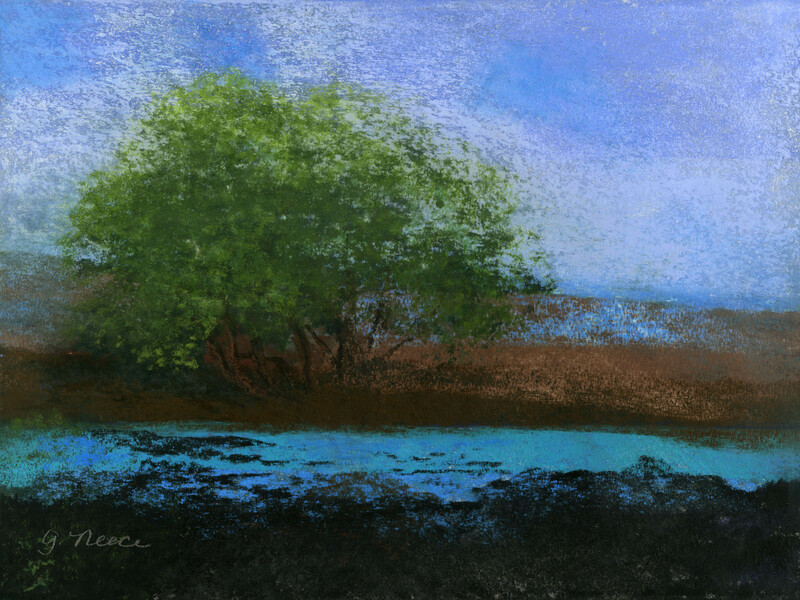 Although Ginny has worked in acrylics, collage, and pencil, her primary medium is pastel. She loves pastel’s immediacy and the vibrancy of the colors. The subject matter of her paintings consist of close ups of flowers, still-life’s, larger garden settings, and landscapes. Ginny paints for the sheer joy of it and her chief objective is to create artwork for people to enjoy in their homes. She has been published in Willow Creek Journal, 2008-2014, Shark Reef Literary Magazine, Winter 2014, and has exhibited with the Lopez Artists’ Guild and Chimera Gallery. Ginny also currently displays her work at The Bay and the South End General Store here on Lopez Island. Additional examples of her work are available to view and purchase at her website http://ginny-neece.artistwebsites.com.